Between grocery store runs and extra-curricular activities, the weekends are usually a time for families to break away from the weekday routines and do something fun together. But with overcrowded theme parks and summer events only making up for a few hours of entertainment, it can be hard to find something to do that won't leave you frustrated or have your kids wanting to do more. If you're debating on whether you should commit to driving out to our place, here are a few reasons why you and your family won't regret the trip (and will love the adventure). Unlike some of the rides you see at theme parks, Everglades airboat tours don't have an age or height requirement. From toddlers to grandparents, airboat rides are the perfect combination of excitement and relaxation for everyone in your party to have a great time. 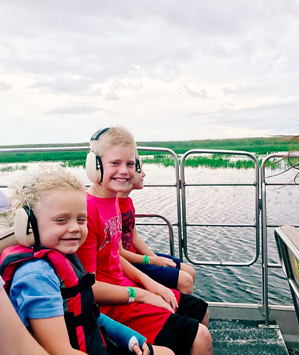 With life jackets and ear protection available during your airboat tour, you can have the peace of mind that your children will have a great time and be safe during their ride. But don't let the adventure stop after your airboat tour. Inside our Gator Park, there are a ton of interactive animal activities and stations that your kids will love. Curious about what others thought about their trip to Wild Florida? Check out our Google reviews! 2. Experience something new and "truly Florida"
When most people think of Florida, they often think of beaches, orange groves, and roller coasters, which aren't wrong descriptions, but there is so much more to Florida. When you drive away from the traditional Florida attractions and things to do, you'll start to see sides of Florida you didn't even know existed. Located on Lake Cypress, the only thing you'll see out here (aside from our place) is real, wild Florida, like wild alligators, bald eagles, and tons of other wildlife native to Florida. During Everglades airboat rides, you're able to see what natural Florida looks like, seeing untouched foliage and giant cypress trees that predate human civilization and will leave you in awe of Florida's beauty. 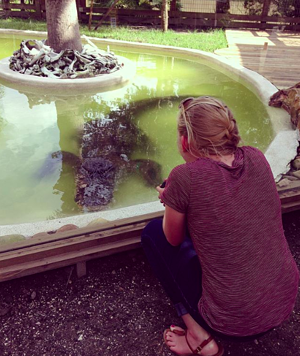 Related blog: 7 spots at Wild Florida that make you want to say, "Selfie!" 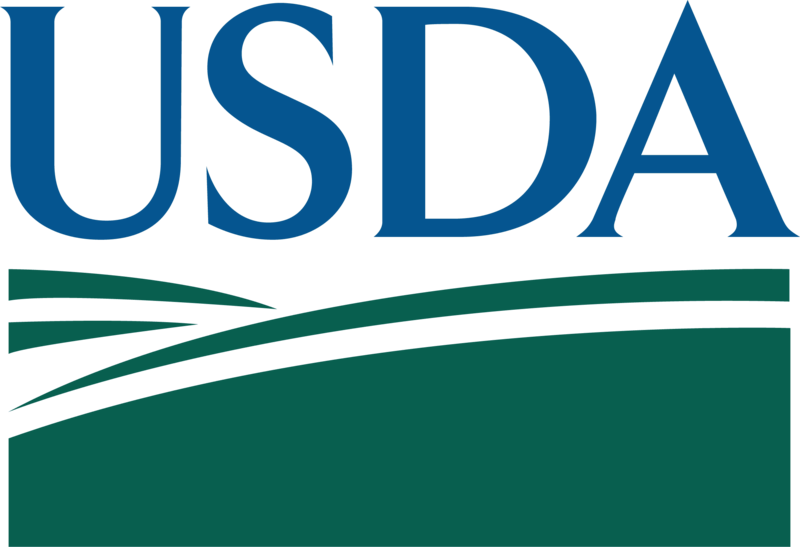 Since opening in 2010, our mission has been to provide an unforgettable Everglades experience that promotes a connection with animals while inspiring education and conservation. 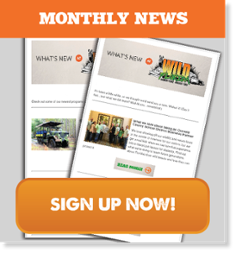 From tenured airboat captains to our expert animal care members, our team wants to educate locals and tourists alike about native and exotic wildlife so people can share the same passion for animals and nature as we do. Inside our Gator Park, we put on Exotic Animal and Gator Feeding shows for people to learn more about Florida's native wildlife and offer a variety of animal encounters with exotic animals like two-toed sloths, African crested porcupines, albino alligators, American alligators, tamanduas, and ring-tailed lemurs so guests can learn more about the species and our animals distinct personalities. 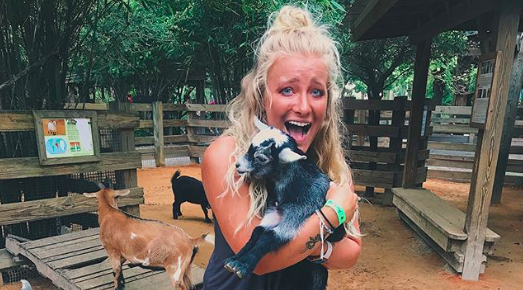 Our animal encounters also provide a unique, hands-on opportunity where you can not only feed and pet our animals but also perform an animal enrichment activity to help keep their mind sharp and engaged. While you may plan on only spending two hours at our house, you might find yourself losing track of time and actually see the sun set on Lake Cypress. So, why not start your adventure early with an airboat ride and let the rest of your adventure play out in our Gator Park. Go ahead, create your car ride playlist, plug in our address, and hit the road! We'll save enough seats for your party's adventure.